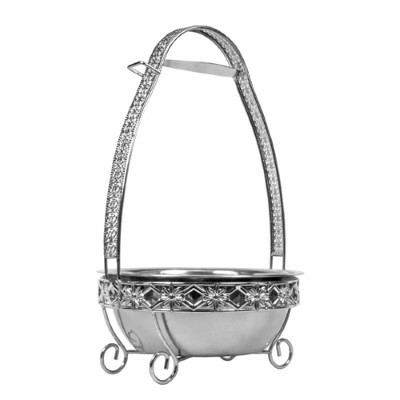 Big stainless steel charcoal basket used to hold large amounts of hookah coals. It is beautifully designed. It comes in a variety of attractive designs. It can hold over 120 cubes of natural charcoal. It stands at 16 inches tall and the diameter of the bowl is 9 inches.